The Ottawa Senators have signed veteran forward Alex Burrows to a two-year contract extension, a day after acquiring him from the Vancouver Canucks. The contract, which kicks in next season, is worth $5 million over two years and includes a 10-team no-trade list. The #Sens have signed newly-acquired forward Alex Burrows to a two-year contract extension. The Burrows extension, which runs through the 2018-19 NHL season is for $2.5M each year. The extension includes a 10-team no-trade list. The 35-year-old has scored nine goals and added 11 assists in 55 games with the Canucks this season. He scored nine goals and added 13 assists in 79 games last season. 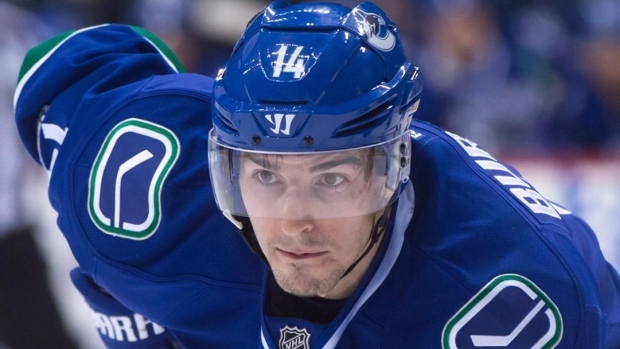 Burrows, who worked his way to the NHL through the ECHL after going undrafted, topped the 20-goal mark in four straight seasons from 2008-2012, but has failed to do so since. The Sens sent prospect Jonathan Dahlen to the Canucks in the deal.